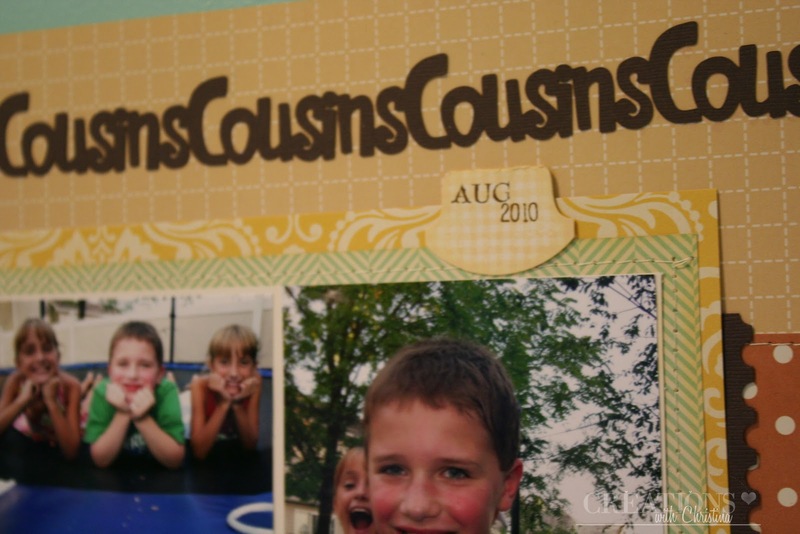 I cut the border title cousins using my Silhouette. I just picked a font that I already had on my computer and welded it together. I don't remember what font it was though? Thanks everyone and have a great Wednesday. 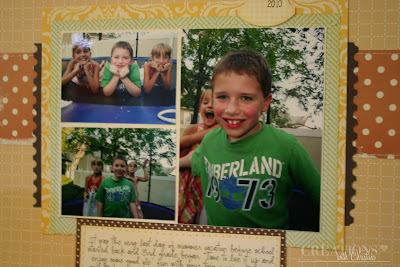 I am so pleased to see you doing more scrapbooking!! You are an enabler though!!!! Christina, you and Teri are making me want the Silhouette. Very nice layout. Great layout. And I'm agreeing with 6Torres - you are making me so want the Silhouette! Bad, Christina, bad, bad, bad. LOL. I agree with Charlottes comment as well, i so dont need another machine, but the more you use it and i see it the more i want it. Boy, Ethan is growing up so quick, take a zillion photos as these years fly by. I love your layout Christina. I also have a Silhouette (in addition to my Cricuts and KNK) and love it for titles and intricate cuts. Great layout! I love the different photo sizes. I have to do that. Silhouette.... NICE letters! Great photos on your layout! I love all the white space you left...that's a toughie for me. Thanks for all you do and I hope your week gets better. Super cute and your handwriting is so beautiful. Very nice Lo. I just got the silouette from my dh for my birtday. I am amazed at how awesome this machine cuts! I already have the cricut and even though I don't plan on getting rid of it there is no comparison between the 2 machines! Cute layout! Ethan is such a handsome boy! The Silouette is looking better & better! What a great layout. I have a Silhouette that I purchased in January and have yet to take it out of the box. Would you consider doing tutorials on it? You do such an amazing job with step by step details! I love your blog! Have a great day!! Hope to see some tutorials or videos from you on silhouette. I've not used mine much... Will have to read up on it again. so awesome family is...I love your journaling...great page. Great page Christina! I would love to see your Silhouette in action. I hope you do a video to show how it works. 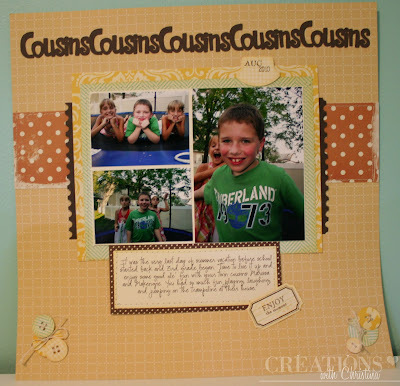 Love the layout and looks like the kids were having fun. Thanks for the ideas. Super adorable LO!!! and the kids are just to cute!!!!! 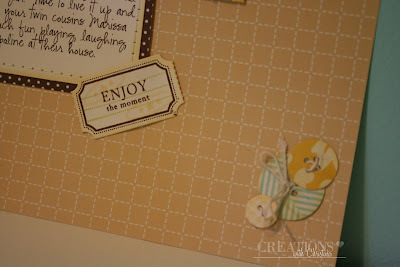 This is a great layout, love the ticket die and sentiment.